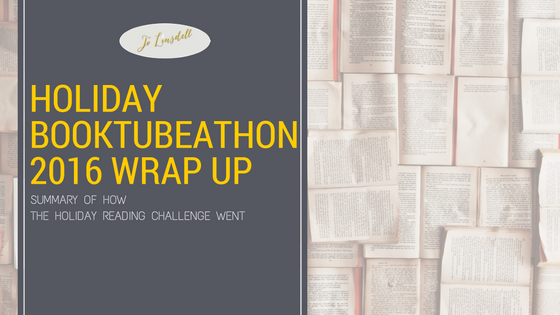 From 29th-31st December 2016 I took part in the Holiday BookTubeAThon challenge. Here's a wrap up of what I read and what I thought about them. I picked this book for the first challenge "Read a book with your favourite colour on the cover". My favourite colour is blue so this was perfect. It was also a nice short, quick read, and therefore ideal for BookTubeAThon. Tabitha and her friends are ready for a change--they're fresh out of college and ready for a new start, which means saying goodbye to their bad habits when it comes to men. For Tabitha that means swearing off bad boys once and for all. But that's easier said than done when she finds herself sharing an apartment with Jack, the bad boy to end all bad boys. Jack has an annoying tendency to come to her rescue, make her laugh, and give her kisses that leave her begging for more. As if their instant attraction doesn't make staying away hard enough, why does her new bad boy have to be so good? My rating: 3 stars. I'll be uploading a video review soon. I got flexible with the second challenge "Read a book in a genre you discovered this year" and opted for a book by an author I discovered this year instead, as I already read a wide variety of genres and didn't really discover a new genre during 2016. During 2016 I read a lot of books by Susan Hatler. She is awesome at writing short romance. 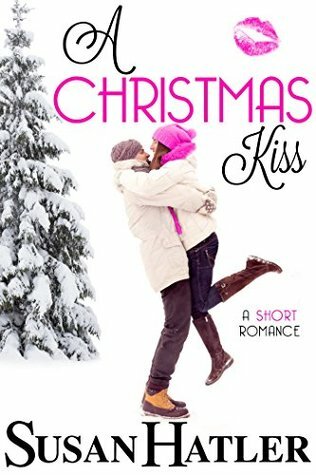 Anyway, she released a new book A Christmas Kiss just before the holidays. This is an addition to the Kissed by the Bay series. As I read several books from the series this year it seemed like the perfect choice. My rating: 4 stars. I'll be uploading a video review soon. I was gifted a copy of this book by the author early this year and have been dying to read it, so it was an easy choice for the third challenge "Read a book your were gifted". Jenna has many secrets; her father disappeared before she was born, her mother ignores her, her step-father abuses her, and the boy she's had a crush on for years doesn't know she exists. 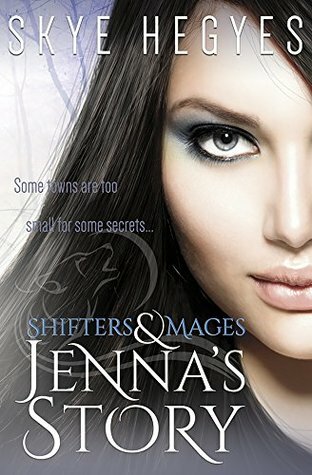 A school assignment may be the end of all her secrets though, including her biggest secret of all -- her ability to turn into a wolf. With her stress levels rising though a new ability rears it head to make her life much harder. She must learn to control her rising power because if she doesn't, she chances losing all her secrets and quite possibly her life. My rating: Unfortunately I didn't get round to reading this one. It is high on my TBR list for 2017 though. So I didn't finish reading all 3 books, but I did finish another of the books I had started before the challenge. I'll be uploading my review for Three Blonde Mice by Jane Heller (http://amzn.to/2iW90Ek) soon.